The National Science Foundation recently awarded University of Wisconsin-Milwaukee scientists $1.5 million to perfect a method of mass-producing graphene-based small water sensors using inkjet printing. The goal is to determine whether the process can be customized in order to scale up production and in a more economic way than traditional manufacturing methods. The graphene-based sensors, developed at UWM, reportedly outperform current technologies in accuracy, sensitivity and sensing speed. Their performance and size make them useful for continuously monitoring drinking water for miniscule traces of contaminants like lead. The grant will help researchers engineer the ink, which will contain the nanomaterials that give the sensors their capabilities. The ink is then layered on top of the sensors’ plastic substrate. While printing with graphene has been demonstrated successfully, printing with graphene oxide has been studied less. Since the two materials exhibit different properties, engineering the ink containing graphene oxide and various chemical probes will require some fine-tuning, said the team. 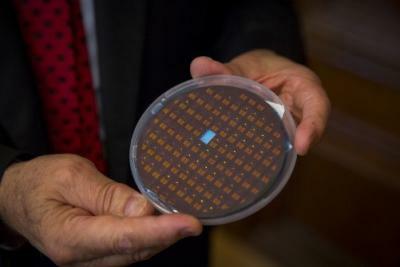 The performance of the printed sensors will be tested by companies, including the startup NanoAffix Science LLC, founded by researchers in the program. The results may be applicable to cost-effective manufacturing of other printable, flexible electronics such as solar cells, lithium-ion batteries and supercapacitors. The project will led in collaboration with Northwestern University and UW-Madison.